The Grand Finale of India’s biggest B-School competition, Mahindra War Room Season 6 saw Team IIM Underdogs from Indian Institute of Management, Ranchi beat some of the best brains in the country representing top notch B schools. 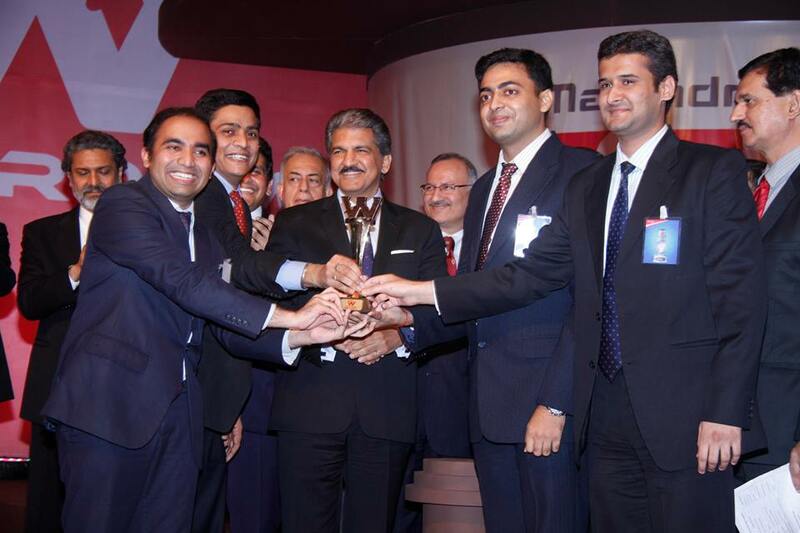 The Gala ceremony hosted by the Mahindra Group, Broadvision and covered by CNBC – TV18 was held at the Grand Hyatt, Mumbai and attended by some of the top industrialists in India including Mr.Anand Mahindra himself. Mahindra War Room season 6 saw India’s best B-schools fight it out to provide innovative solutions to different case studies covering various sectors .The Team IIM Underdogs from Indian Institute of Management Ranchi, comprising of Nipun Bansal, Archan Rawell, Priyank Deshmukh and R. Venkatesh blazed into the competition as wild card entry winners from the North Zone . They proved their mettle in two more rounds, viz. The CEO round, comprising of 22 teams and the President’s round, where they emerged victorious in an arena of 7 best teams. ”Mahindra War Room is like the world-cup of B-school competitions and we were well prepared with our extensive research, innovative ideas and impeccable presentation skills to bag it!” said Mr R. Venkatesh. Sharing more anecdotes about the event, he added “even before the results were announced, Dr. Jaideep Devare , M.D., Mahindra Insurance Brokers Ltd, applauded us and remarked that we were already winners in his eyes and he was deeply impressed by our innovative and implementable solution. Furthermore, He had already communicated our solution to his team! It was a reward in itself and immensely satisfying for the team”. Team Outlandish from Mudra Institute of Communication, Ahmedabad bagged the runners-up slot by providing a sustainable strategy for the future of mobility. It was a true vindication of the excellent pedagogy and industry readiness of IIM Ranchi students as they had made the national finals last time too, but couldn’t win. Mr. Anand Mahindra, Chairman and M.D. of the Mahindra Group, personally judged the finale along with Mr Pawan Goenka , Mr Rajeev Dubey , Dr. Jaideep Devare and other eminent dignitaries . He remarked that it was a not to be missed event on his calendar .”Mr Anand Mahindra applauded us for not treading the tried and tested path and choosing a rather unglamorous case of Rural Health Insurance”, said Mr Archan Rawell , member , IIM Underdogs . He further added , “Our extensive research involving all the stakeholders like rural households and insurance companies paid off and helped us win the competition. ” , attributing the team’s success to sheer hard work. Mr.Pawan K. Goenka, President of Automotive and Farm Sectors of the Mahindra Group tweeted“IIM – Ranchi win the Mahindra War Room with an excellent strategy for an inclusive healthcare insurance”. Mr Anand Mahindra appreciated the winners from IIM Ranchi and is seen here handing out the prize money to the Champions.